Panjaporn is our Office365 BI specialist. Panjaporn is the Microsoft Office Division Business Group Lead at Microsoft Thailand. 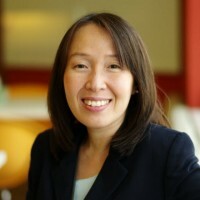 She led the transformation of the business to Cloud Services for Microsoft Thailand. She has over 19 year experience in both sales and marketing of software products and cloud services in both the Enterprise and Consumer market. She is also a certified Green-Belt on Six Sigma in Opportunity Management Process. She has initiated several campaigns for Microsoft to grow business with customers and partners i.e. Enterprise IT Pro Club, Partner Investment Protection, Partner and Customer Academy, Crisis Turning Point, HAPPY and WIFI, Localization, Business Continuity Plan, Business Accelerating Plan, Microsoft Experience Center and Sky project etc.